Improved agreement with experimental solvation data. Superposition of QM optimised (green) and MM energy minimised (cyan) structures. Access to classical force fields in formats compatible with GROMACS, GROMOS and LAMMPS simulation packages and CNS, Phenix, CCP4, Refmac5 and CYANA X-ray and NMR refinement packages. A GROMOS to AMBER topology file converter. Optimised geometries for molecules within the repository. Submission of molecules with molecular drawer, SMILES or PDB file. 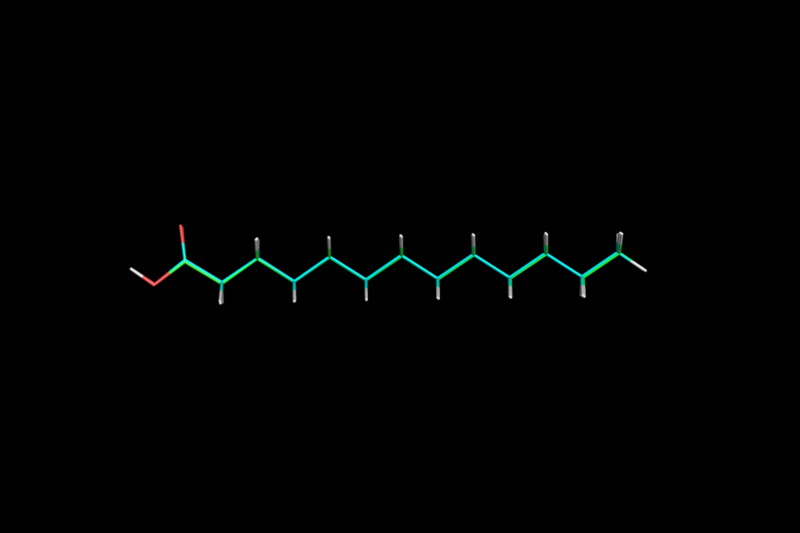 Search a database of pre-calculated molecules with various descriptors including 3D structures. Links to molecules in other databases including ChEMBL, RCSB PDB, and ChemSpider. Provision of an API for automated access to the database (on request). Tools to visualize and compare parameters for molecules submitted in alternative conformations and for users to flag problems with specific molecules. Lennard Jones parameters refined against experimental solvation and pure liquid properties. Atomic charges fitted to QM electrostatic potentials at B3LYP/6-31G* level of theory (for molecules < 50 atoms). Robust symmetry routines to ensure identical parameters are assigned to chemically equivalent atoms, bonds and angles. Bonded parameter assignment using force constants estimated from Hessian (B3LYP/6-31G*, for molecules < 40 atoms). Automated QM calculation pipeline with error recovery (low failure rate). Automated QM and MM energy minimised structure comparison. Automated calculation of solvation free energies (restricted). APBS (Adaptive Poisson-Boltzmann Solver) file format (.pqr). CNS (Crystallography & NMR System). CCD CIF (compatible with the Phenix, CCP4, Refmac5 and CYANA X-ray and NMR refinement packages). eLBOW CIF (compatible with the Phenix X-ray refinement packages). An extended and generalized mmCIF format incorporating a complete description of all force field parameters including units. AMBER via a tool to convert GROMOS system topology files (.top) to the AMBER format (.prmtop). Malde AK, Zuo L, Breeze M, Stroet M, Poger D, Nair PC, Oostenbrink C, Mark AE. An Automated force field Topology Builder (ATB) and repository: version 1.0. Stroet M, Caron B, Visscher K, Geerke D, Malde AK, Mark AE. Automated Topology Builder version 3.0: Prediction of solvation free enthalpies in water and hexane. Koziara KB, Stroet M, Malde AK, Mark AE. Testing and validation of the Automated Topology Builder (ATB) version 2.0: prediction of hydration free enthalpies. Stroet M, Koziara KB, Malde AK, Mark AE. Optimization of empirical force fields by parameter space mapping: A single-step perturbation approach. Reisser S, Poger D, Stroet M, Mark AE. Real cost of speed: The effect of a time-saving multiple-time-stepping algorithm on the accuracy of molecular dynamics simulations. Malde AK, Stroet M, Caron B, Visscher K, Mark AE. Predicting the prevalence of alternative warfarin tautomers in solution. Canzar S, El-Kebir M, Pool R, Elbassioni K, Malde AK, Mark AE, Geerke DP, Stougie L, Klau GW. Charge group partitioning in biomolecular simulation. Engler MS, Caron B, Veen L, Geerke DP, Mark AE, Klau GW. Multiple-choice knapsack for assigning partial atomic charges in drug-like molecules. Schmid N, Eichenberger AP, Choutko A, Riniker S, Winger M, Mark AE and van Gunsteren WF. Definition and testing of the GROMOS force-field versions 54A7 and 54B7. Oostenbrink C, Villa A, Mark AE and van Gunsteren WF. A biomolecular force field based on the free enthalpy of hydration and solvation: The GROMOS force-field parameter sets 53A5 and 53A6. See the FAQ page to get started. While every effort has been made to provide reliable estimates of the parameters including where appropriate alternative choices of parameters, these are intended as a guide. The user should carefully examine all files before use and the suitability of the parameters provided for any specific application cannot be guaranteed.